You wonder if you are called to religious life? and discover more about your own calling. 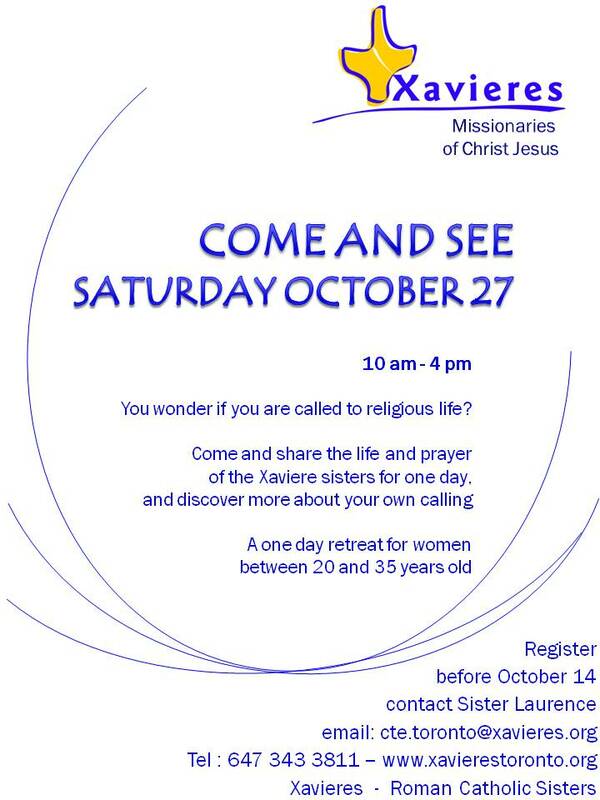 A one day retreat for women between 20 and 35 years old.